Technique: Colored pencils, watercolor and insert modern poem on paper and aluminum foil. Artist's press release : "STUDIES: •1978 BA in Fine Arts, Florence, Italy•1985 DEA (MA) Philosophie d’ Art, PARIS I, Pantheon-Sorbonne•1988 Nouveau Doctorat (PhD) in Art & Science of Art, PARIS I, Pantheon-Sorbonne PERSONAL EXHIBITIONS: •1978 Florence, Palazzo Strozzi •1978 Florence, Circolo Enal •1978 Florence, Happening, Centro Coultourale Bannana Moon •1982 Lechaina •1987 Paris, Maison du Mexique •1990 Volos, Gallery 4 •1990 Ioannina, “ΑΜIΜONI” Gallery •1991 Lamia, Art Due Gallery •1992 Rhodos, Art Gallery •1993 Volos, Gallery 4 •1993 Katerini, Art Gallery “CHRΥSA” •1996 Athens, Gallery Bosch •1996 Athens, Art Gallery “ASTIR” etc. MAIN GROUP EXHIBITIONS: •1983 Vorre I. Museum •1987 Paris •1988 National Gallery •1988 Sophia • 1988 Nicosia •1989 Pieridi’s Gallery • 1990 Athens, National exhibition of UNO •1990 Kos, ΙΙ Engraving Mediterranean Biennale •1994 Luxemburg, Contemporary Greek Engraving •1997 Thessalonica, Gallery E •2001 Athens, “Technopolis” •2002 Thessalonica, “Vafopoulio Institution” etc. 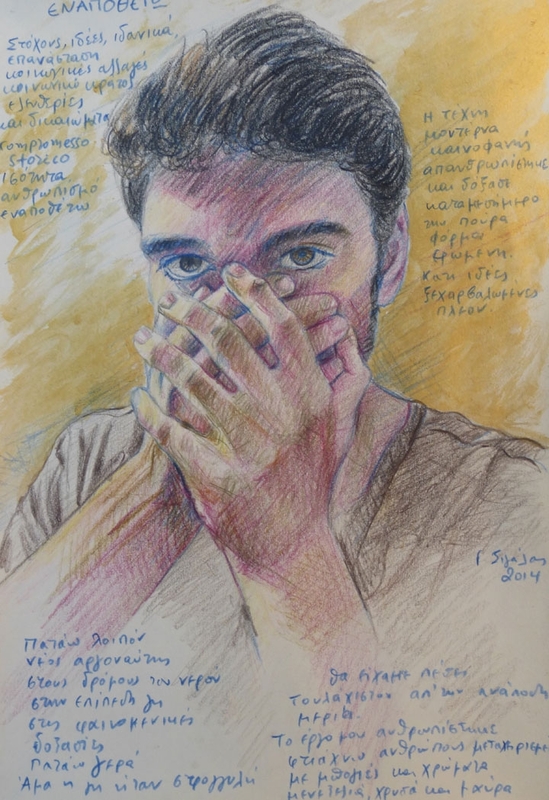 HONORS: •1st Prize (Florence) 1997, Painting Contest “ Circolo Enal” •3rd Prize (Athens) 1982, GEA Monument •1st Prize (Athens) 1983 Poster for 1st Congress of Fine Arts Education •Honourable Award (Thessalonica) 2002, 1st Pan-Hellenic Exhibition of Miniature".